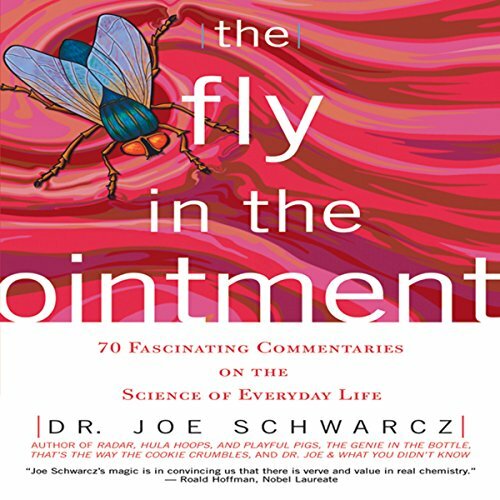 This entertaining examination of everyday science from the fanciful to the factual covers topics ranging from pesticides and environmental estrogens to lipsticks and garlic. Readers are alerted to the shenanigans of quacks and are offered glimpses into the fascinating history of science. The science of aphrodisiacs, DDT, bottled waters, vitamins, barbiturates, plastic wraps, and smoked meat is investigated. Worries about acrylamide, preservatives, and waxed fruits are put into perspective, and the mysteries of bulletproof vests, weight-loss diets, green-haired Swedes, laughing gas, and "mad honey" are unraveled. Even those with very little knowledge of science will come away informed and delighted at those humorous and accessible explanations. ©2004 ECW Press (P)2012 Audible, Inc.